Those of us with gardens MAY BE plagued by snails and slugs. This rainy winter seems to have brought more of them out. Snail bait is commonly used to control them. Metaldehyde is the toxic compound in snail and slug poison. It is in the form of a palatable liquid, powder or pellets. When eaten by dogs or cats—it’s rare that cats ingest it, but there’s always the chance—it causes central-nervous-system dysfunction. Within one to three hours of eating snail bait, animals can show anxiety, strange behavior, difficulty walking or staggering, vomiting, diarrhea, tremors and seizures. They can become unconscious and go into respiratory failure, leading to death. These symptoms require immediate emergency medical care. Upon examination of a dog that has ingested snail bait, will a very high body temperature, tremors and an increased heart rate will be noted. The pH of the blood becomes acidic and adds to the seriousness of the problem. If our patient is conscious, we will induce vomiting to prevent further absorption of the metaldehyde already in the stomach. We will also administer activated charcoal to help prevent absorption of metaldehyde not removed from vomiting. Graphic courtesy of Long Beach Animal Hospital (LBAH). Intravenous (IV) fluids are administered to stabilized the internal organs and prevent shock. Medication to stop the seizures and tremors might also be given. Oxygen will be used for dogs with breathing problems, and cooling baths will be used for those with a high fever. Medicine is given IV to control seizures and help maintain relaxation, along with decreasing the elevated temperature, and oxygen if the pet is having difficulty breathing. 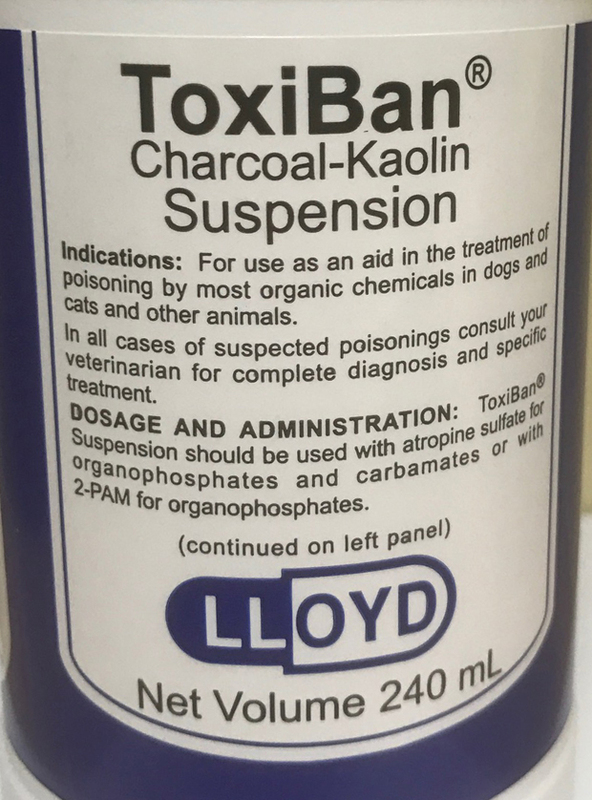 If a dog that has ingested this poison is brought to us immediately after ingestion and has not eaten an excessive amount, the prognosis for recovery is good. Dogs that recover might have liver disease that appears several days later. Before purchasing snail and slug bait, check the back of the package to see whether the product is friendly or potentially toxic to pets. Some manufactures add either a blue or a green dye to these products to assist with identification. Some snail bait is bitter tasting to discourage pets from eating it. When out walking with your dog, always pay attention to what the nose is getting into. Photo by Kate Karp. Be alert when you are walking your pet. Controlling them with a leash will keep them out of the bushes and from potentially eating something they shouldn’t.